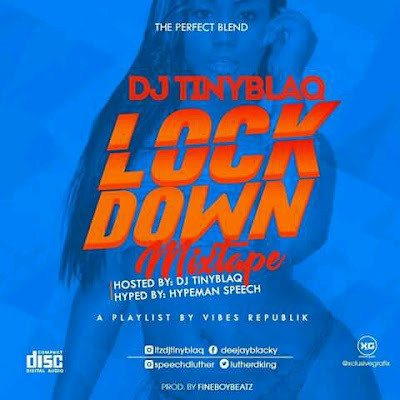 Home / MIX TAPES / Dj Mix:- Dj Tiny Blag - LockDown Mixtape Feat. Hypeman Speech (Download Now Free)! 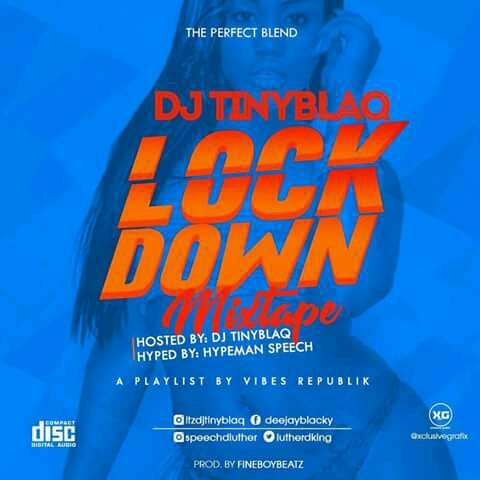 Dj Mix:- Dj Tiny Blag - LockDown Mixtape Feat. Hypeman Speech (Download Now Free)! Ever since we started promoting port Harcourt based creative Deejays we haven't had it like this kind before, Dj Tiny Blag is a creative young man and we the house of Toosweetpromo Media so muchly believe in this young man "Dj Tiny Blaq". Here is the long anticipated "The Lockdown Mixtape" and is finally here! DJ Tiny Blaq and Hypeman Speech did a wonderful job on this one and it's the Best we believe your listening pleasure is guaranteed. Major hits back to back from across the country and Speech does his favourite thing on the mic. This will keep you dancing for as long as it's on as DJ Tiny rides the hot wheels of steel which actually locks you down to thrill vibes of it's perfect blend. This is best played with headphones or a speaker for the best experience. Download below and share with your friends!.